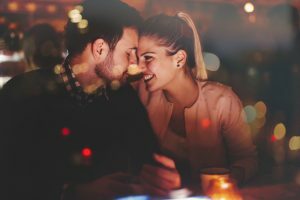 Why Should Date Night be on the Calendar for Couples? Date night is very important for all couples. It doesn’t matter if the you guys have been dating for a few years or if you guys have been married for a few years, the same still stands: Get out the two of you, and only the two of you, and have a good time together! I know, it sounds lame. Like, why would you need or want to have date night so often? Is it because I’m telling you it should be on the calendar? Is it because most people claim the term date night helps keep the romantic spark alive? Is it because most romantic comedies display date night and your girl just can’t get the thought out of her head? All of the above, and yet, none of the above. Yes, you should have it on your calendar, but not just because I’m telling you to. Yes, most people claim it to be at the top of the list when a couple is trying to keep that spark alive, but only because it’s the truth. Yes, most romantic comedies do display date night, but only to instill such a thing in your lady’s mind so that the two of you can go out. But it’s more than just that. And it needs to be taken seriously, not lightly. Date night needs to be a thing. Let me tell you why fellas. It sets up an opportunity for romance. If the two of you have been in a relationship for a long time, or if the two of you have been married for quite some time, chances are you’ve lost some of the romance you once had in your relationship. 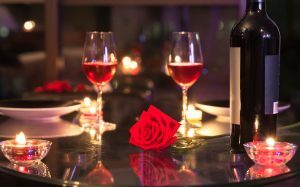 Date night gives you the chance to get back to those people you were long, long ago. Let me explain. Often, we lose ourselves, or get really comfortable with one another, and don’t do the things we used to. For example, we are more apt to stay in and put on some pajamas while heating up a Stouffer’s microwavable dinner rather than go out with each other. If couples do the former more often than the latter, they’ll tend to want to stay at home all the time, and the romance will wither away. However, going out once a week, or once every other week, for date night will change that. Take your lady out like you did when the two of you first started seeing one another and you’ll see the romance spark right back up. Whether you have kids or not, spend the entire evening out doing things that the two of you love. Mix and match; For example, do dinner at a restaurant she loves then throw in an extracurricular activity that you love, like go-karting. This will give you two the chance to fall in love with one another all over again (every week!). Tip: Dress up to make it even more special. It’ll give you two a break from adulting. The two of you work hard all week, all month, and all year. And, when you get home, you do a bunch of chores around the house to get ready for either the next day, the next party, or the next thing on your list. And when you’re not doing chores, you’re doing stuff to survive, like cooking, shopping for groceries, paying bills, getting gas, etc. Date night gives you the opportunity to stop doing. Just sit back and relax with your lady. While you’re on date night, sit there and truly enjoy the presence of your significant other. Listen to her and allow her to listen to you. Take each other in and make it last as long as you can. Hell, if you do it right, you won’t feel like an adult for the night; You’ll feel like two young kids in love. 1. Turn off your phones so that you have each other’s undivided attention. 2. Don’t bring up any of the bad stuff, like missed meetings, your boss yelling at you, or what the kids got into this week. Focus on the good and leave the bad for when you get home the next day. Let loose and have as much fun as physically possible. This may mean go out to your favorite bar with your hunny or go to her favorite ice cream shop. It may also mean that the two of you should try something new while you have the time. Go to a drive-in movie theater or hit the local speakeasy (if you can find one). Trying something new will be fun for the two of you and will create a new romantic memory that can be cherished. Tip: Throw some new and exciting ideas into a hat and pick out of it. Try something new each time you go on a date with your sweetheart. She’ll love it. Date night shows you are committed to her. Believe it or not, bringing up or planning a date night with your lady shows a lot of commitment. Making time to set aside each week to spend with her will get her so happy it’ll be unbelievable. Plus, making time for one another each week shows that the two of you want to constantly grow in your love and affection. And couples that spend “couple time” together each week are more likely to stay happier, longer. Tip: Remember, it’s not what you do, it’s how you do it. Just spend the time together doing something you love (just you two). Bonus: You’ll get more brownie points if you do the planning for you and your lady fellas. I have faith in you! Monday be like, Those bikes had a Rou ..
Coffee Break, I call this my week lif ..
Black and Gray Food Stand During Nigh .. Copyright © 2015 - 2019 HealthyAmericanMale. All rights reserved.